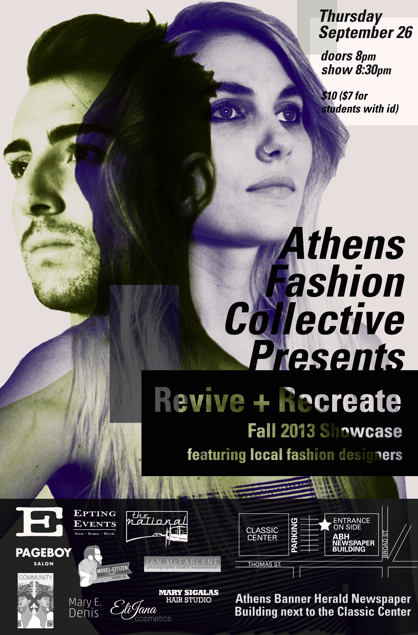 Athens Fashion Collective, an important resource for local designers, will have their fall showcase, Revive + Recreate, this Thursday. Doors open at 8PM and the first runway kicks off at 8:30PM in the Athens Banner Herald building. 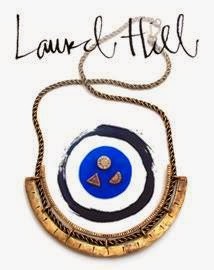 Six local fashion designers are showcasing their work this year: Laurel Wells (from Atlanta, Georgia), Colleen Quinn, Zidisha Dambuza, Lindsey Simunec, Shawna Maranville, and Sanni Baumgaertner//Community Service. Tickets are $10 or $7 with student ID. There will be a bar and DJ Immuzikation is spinning tunes throughout the night. Model Citizen (the salon I go to) is doing hair, along with Pageboy Salon and Mary Sigalas Hair Studio, and makeup is done by Elijana Cosmetics and Mary E. Denis.